Harden & Crenshaw: Live music and DJ combined. 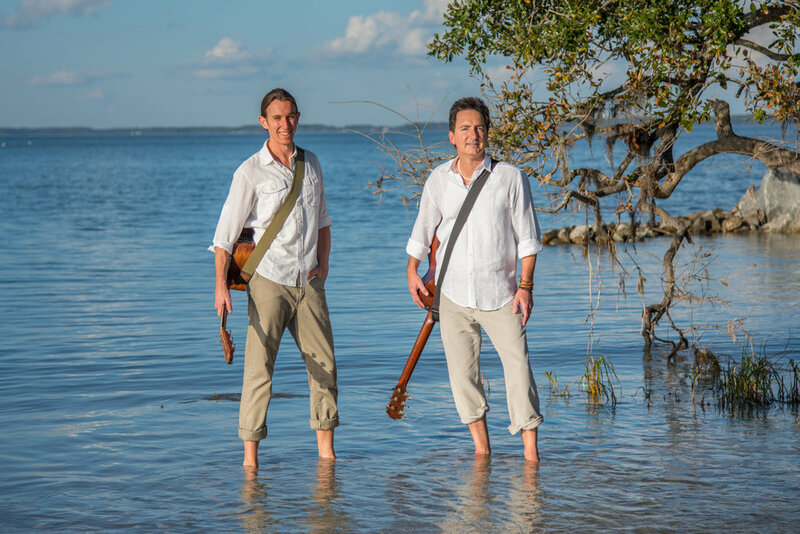 Harden & Crenshaw have been thrilling audiences at private events, lavish weddings and on stages across the Lowcountry for 10 years with their signature two-part harmony vocals and rich acoustic guitar accompaniment. 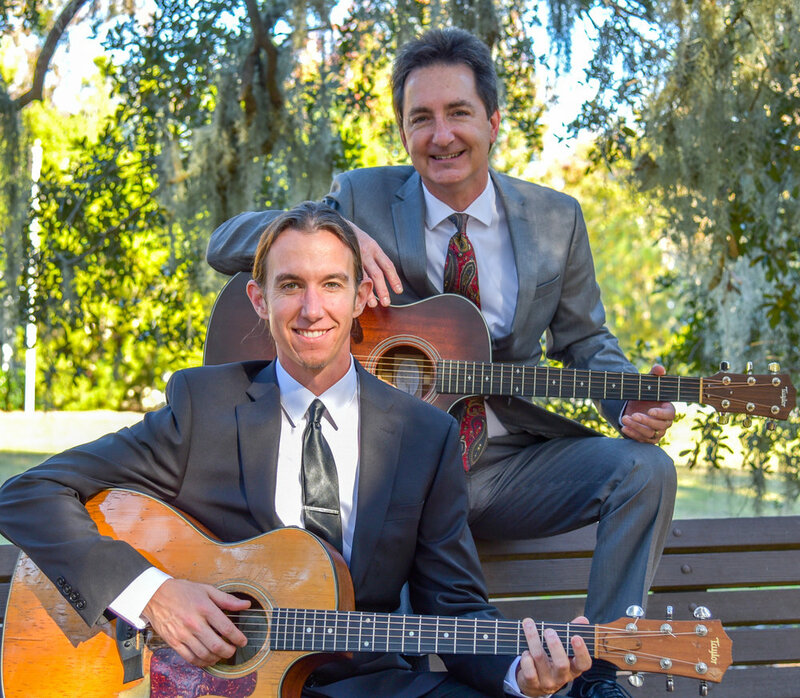 Splitting a deep setlist of favorites from every era, guitarists/vocalists Trevor Harden and Tom Crenshaw have made it their mission to deliver nothing less than a superior live music performance with a “no cheesy” guarantee. That means no corny jokes, just a slew of toe-tapping tunes spanning contemporary acts like Ed Sheeran, One Republic, Imagine Dragons, Jack Johnson and John Mayer along with timeless classics from groups like the Beatles, the Eagles, Bob Marley, Jimmy Buffet, The Beach Boys, The Temptations and many more. It’s the music you love, delivered by a pair of musicians devoted to making your event the one they’ll talk about for years to come. What can Harden & Crenshaw Offer You? The utmost in professionalism: Through 20 years of Lowcountry live music experience, we’ve helped hundreds of event planners and couples on Hilton Head Island, in Bluffton and beyond create the perfect entertainment event, with our signature mix of live music and professional DJ services. All entertainment, no cheese: The right emcee can make or break a special occasion, and our “non-cheesy” guarantee means no gimmicks, no corny jokes and no groanworthy banter – just the finest live music from a diverse selection of musicians and bands, performed both live and through our crystal-clear DJ system. 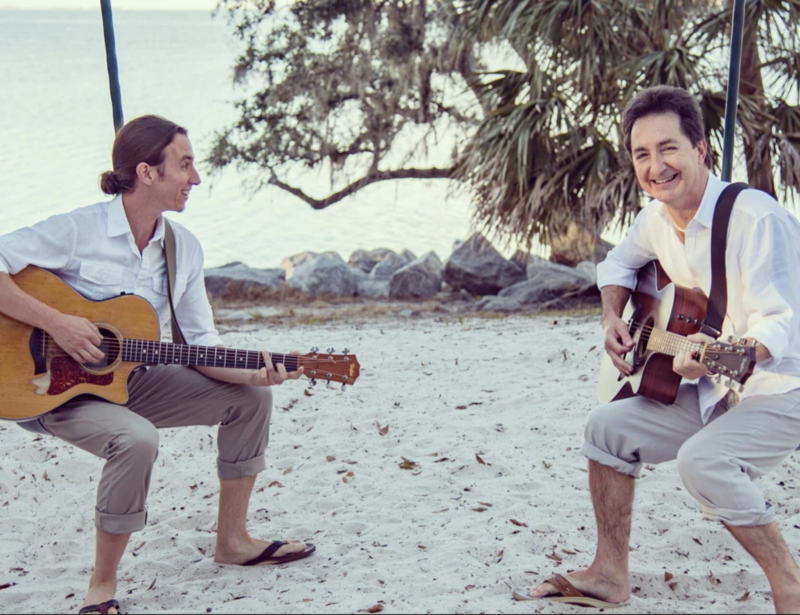 Have guitars, will travel: We specialize in special events and weddings of all kinds in the greater Hilton Head Island/Bluffton area, but we can travel to your event at no extra charge. A first-class experience: the same first-class experience that has been enjoyed by corporate event clients from Fortune 500 companies to intimate weddings. This includes a vast setlist of more than 350 songs (performed to keep the focus where it belongs – on you! ), cocktail/dinner hour music selections, available full band sound with the addition of a percussionist, complete DJ services for post-cocktails and dinner Top 40 dancing and a dedication to making your event memorable. Please check out our 5-Star reviews on Theknot.com and Weddingwire.com from our over 100 brides and grooms to see first-hand what they have to say about our services. "Thank you, Trevor and Tom for helping create one of the very best times of our lives!" "We received more remarks about the great music than we did about the food or cake or flowers." "The BEST money we spent!" "Our wedding guests are still talking." We offer various entertainment/ DJ packages for you dependent upon your needs and desires. Our pricing begins at $1200 and goes to $2800+ with most couples settling on a $1800/$2200 all-inclusive package. We're happy to provide you with a personalized quote based on your needs and desires. We respond immediately to your call, text or email and look forward to hearing from you. Song list of over 350+ songs!